I want to book a test drive. You can send me a request to review this dealer. * This number is operated by Vigo Asia. You will be redirected to the seller, who will be provided with your number, after you enter the Car ID. Largest Thailand’s No 1 used car export Company new and Used cars export around the world We are specialized in used commercial trucks, pickup Toyota REVO (Toyota hilux) With over 10 year’s experience. We have many cars on our stock including commercial trucks such as Toyota Hilux Vigo, Hilux champ, Toyota Fortuner. Suan Lung, Suan Lung, Bangkok. 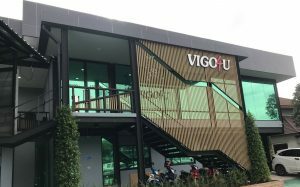 © 2019 VIGO4U CO.,LTD. All Rights Reserved. Beware of Email Hackers & Fake Vigoasia Websites, must check Bank Account name vigo4u.co.ltd when transferring money.